‘The Christmas Gift’ is the latest book by Sue Moorcroft. Georgine loves Christmas. The festive season always brings the little village of Middledip to life. But since her ex-boyfriend walked out, leaving her with crippling debts, Georgine’s struggled to make ends meet. To keep her mind off her worries, she throws herself into organising the Christmas show at the local school. And when handsome Joe Blackthorn becomes her assistant, Georgine’s grateful for the help. But there’s something about Joe she can’t quite put her finger on. Could there be more to him than meets the eye? Georgine’s past is going to catch up with her in ways she never expected. But can the help of friends new and old make this a Christmas to remember after all? The story is seen through the narrative of Georgine and Joe Blackthorn, who’s just started to work at the school that Georgine teaches at. He’s a shy and awkward character, that everyone warms to particularly Georgine who feels that she already knows Joe, but can’t quite put her finger on how. Joe remembers Georgine from his school days and it seems that his childhood crush hasn’t gone away, as seeing her brings back old feelings. Georgine hasn’t had the easiest life, with an ex that’s left her with a load of bills and debt, a sick father and unexpected messy flatmate, Georgine feels that she’s run out of luck as Christmas draws closer and she’s unable to make ends meet. She finds an unlikely friend in Joe, who happens to be there for her, when things become particularly bad and money friendship and finance along the way. This book is a heartwarming story that will warm the cockles of your heart. The characters are interesting particularly Joe with his murky past and also Georgine. I felt such sympathy for her and longed for her to have a bit of good luck for a change. 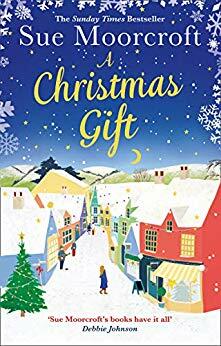 With funny situations and a sparkle of Christmas charm, ‘The Christmas Gift’ was a lovely book to curl up with over the Christmas holidays. You can buy A Christmas Gift from Amazon and is available to buy from good bookshops. 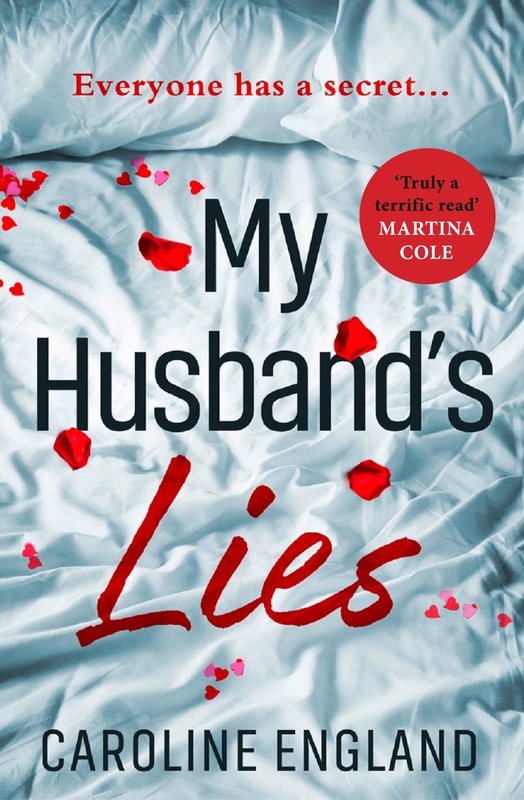 On the book tour for Caroline England ‘s new book called ‘My Husband Lies’, Caroline talks about why she writes domestic noir. ‘My Husband’s Lies’ and my debut ‘Beneath the Skin’, published in October last year, come under the crime fiction genre. Some people have been a little surprised at this category, but the crime umbrella is huge, the sub genres ranging from cosy mystery to hard-boiled private dicks, from psychological thriller to police procedurals, from espionage to courtroom dramas. And the list goes on! I just wrote stories that I liked without any thought of ‘genre’ in mind. However, like slipping into a pair of perfect fitting boots (Fly London platforms, particularly), I was thrilled to discover that my novels fall snugly into the ‘domestic noir’ sub genre. It has been called other things such as ‘marriage thriller’, ‘chic noir’, ‘suburban noir’ and ‘domestic suspense’ but ‘domestic noir’ seems to have stuck. Although the tag was brilliantly named by the author Julia Crouch, the popularity of dark domestic noir stories has been going for hundreds of years. Take Shakespeare’s Othello, Hamlet or MacBeth. How about the Brontë’s Jane Eyre or Wuthering Heights. Rebecca is a perfect fit. Even the Great Gatsby! And all those fabulous old noir films – Double Indemnity, Suspicion and Gaslight. Jeopardy and fear where we should feel safe! So, what are the ingredients of domestic noir? Well, they are set in homes or work places and there’s often a dark narrative and a sense of claustrophobic danger or unease, but I also think it’s about ordinary people (you and I) caught up in extraordinary situations. My Husband’s Lies is about three guys and a girl who’ve been tight friends since school. Without apparently a care in the world, they attend the wedding of one of them, but a guest is found on the window ledge, ready to jump. This sparks a chain of unstoppable events and throws their lives into chaos. I like to write about deep love between people with complicated backgrounds. If you’ve read Beneath the Skin, you’ll know this and there’s more in My Husband’s Lies! I just love to get under the skin of the characters and explore what’s going on in their heads – their wants, desires, motivations and secrets. Their stories are multi-layered and complicated. I want the reader to come with me and get involved too! I’m exploring a moral grey area, so my characters are flawed, people under pressure, but that’s when they’re at their most intriguing! 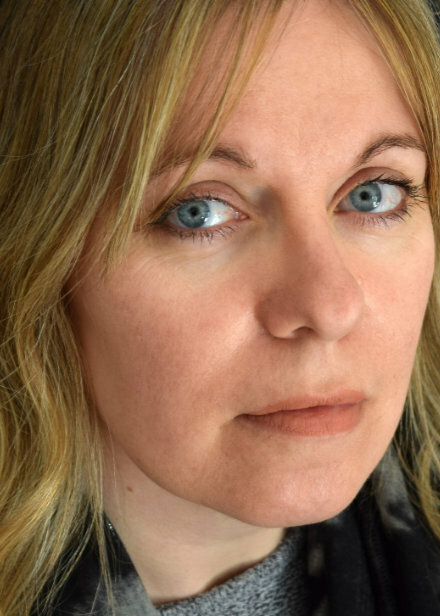 Julia Crouch commented that domestic noir stories are largely, but not exclusively, the female experience. In My Husband’s Lies, there is that, but I also tell the stories of two of the male characters from their points of view. One of them obsesses about a family secret at the expense of his new marriage; another is propositioned by a man and this sets him on a confusing and conflicting journey. Domestic noir in a nutshell? ’What goes on behind closed doors.’ This old granny expression sums it up the best. Perfect! What’s going on behind yours? 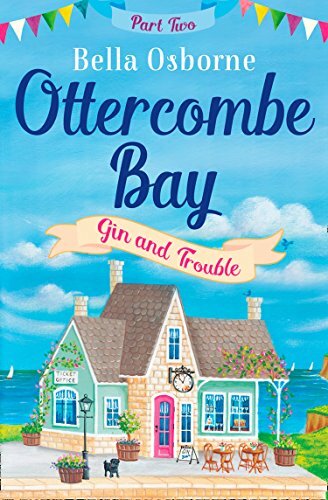 ‘Today on the book tour for Bella Osborne’s new book ‘Gin and Trouble’ which is the second book in her ‘Ottercombe Bay’ series, sit back and enjoy an extract from the story. Daisy pushed her salad around her plate aware Aunt Coral was talking about what had happened at the pharmacy that day, but she wasn’t really tuning in. ‘I thought not. What’s the matter, love?’ She reached a hand across the table and patted Daisy’s wrist. ‘I want to do something useful with the year I’m here. Either get a decent job to have something substantial on my CV or … I don’t know.’ Daisy tailed off and speared a cherry tomato that ceremoniously squirted juice over her pristine white t-shirt. Daisy groaned. Daisy was busy sponging off the tomato juice with a cloth. ‘I don’t know,’ she said with a half-hearted shrug. ‘Come on now, yes you do. What was it?’ insisted Aunt Coral who had now put down her cutlery and was looking intently at Daisy. Her shoulders slumped forward and she resumed pushing her lettuce about. ‘Stop being defeatist,’ said Aunt Coral, in an uncharacteristic snap. ‘You’ve always been impulsive so what does your impulse tell you this time?’ She softened a little and fixed her gaze on Daisy. ‘Go for it,’ said Daisy, almost without thinking. In her gut she had a rumble of excitement caused by the thought of a new venture. ‘Great,’ said Aunt Coral enthusiastically. ‘What is the idea exactly?’ She bent forward in anticipation. They both sat back in their chairs a little and looked to the ceiling for inspiration. Aunt Coral had a good point. Daisy knew the seasonal change in seaside resorts was dramatic. Aunt Coral jumped in her seat as if someone had stuck a pin in her. ‘Lantern parade!’ she shouted. ‘Oh, sorry you’ve not been here for the lantern parade yet. Each December the children make paper lanterns, pop a battery light inside and walk from the church to the prom and they give out prizes and hot chocolate. If you were shut for the winter it would be a good thing to open up for. I bet the adults would like a shot of gin before they set off. It’s usually a bit chilly. ‘Saving Sophie’, was Sam’s debut psychological thriller, published in September 2016. It became a Kindle eBook bestseller, with the paperback hitting ‘The Bookseller Heatseeker’ chart at #8. Sam was named an Amazon Rising Star of 2016. Her next psychological thriller, ‘Bad Sister’, publishes in October 2017 in ebook and December in paperback. I live in Devon with my husband and three children. I worked for the NHS for 15 years, during which time I qualified as a nurse. Following the completion of a Psychology degree I went to work for the prison service as an Offending Behaviour Programme Facilitator. My experiences within this field inspired my writing. I left the service to spend time with my family, and to follow my dream of being a writer. I began writing short stories, then decided I wanted to move on to novels. The first manuscript I produced is now my ‘novel-in-a-drawer’ one, as although it gained agent interest, it didn’t get published. I entered the opening chapters of my next novel, ’Saving Sophie’, into the Crime Writers Association Debut Dagger award and it was longlisted. This novel became my debut psychological thriller, published by Avon, HarperCollins. 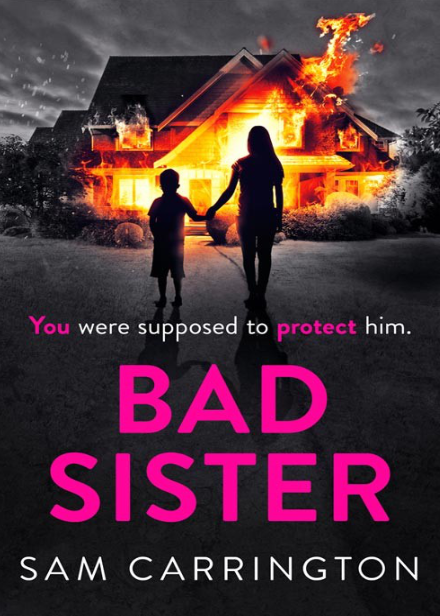 My second, ‘Bad Sister’ was published in ebook on October 5th and will come out in paperback 14th December. I’d love to have authors of varied genres at my book club. I used to only read crime and psychological thrillers before I joined my local book group seven years ago. Now, thanks to the members putting forward an array of books, I have pushed myself and sometimes read out of my comfort zone! So, with that in mind I’d like some crimies – Val McDermid would be great, Sharon Bolton – as she’s one of my favourite authors, then from the psychological genre, Louise Jensen and Lisa Hall (who is hilarious) and from the historical genre, Anna Mazzola, whose novel ‘The Unseeing’ proved to be one of the most-talked about novels in our group (we spent a long time discussing the book club questions, rather than just drinking wine!) I’d love some dark, horror types too – so Stephen King would be fab, alongside Chris Carter, whose novels I found to be pretty scary. When I get that germ of an idea that grows and takes shape in my head – then the early excitement of getting the first chapters down on the page (or on screen!) The first draft of a novel takes me about six months – I enjoy this first stage more than editing. Was there ever a book that you read, that didn’t live up to the hype that surrounded it and left you disappointed? I hate mentioning books in a negative way – so won’t name it! But yes, there was a particular book that everyone I knew was raving about and I couldn’t wait to read, then when I did, it kind of fell flat for me. I’m not sure quite what it was, the style of writing, or the ending that didn’t work for me. It was made into a film and it was one of those very rare occasions where I preferred the film to the book. No, I don’t think I would. Looking back, the way my journey progressed was about right – I learned about rejections, I wrote a novel that is now in ‘the bottom drawer’ and kept at it until I had written something I was proud of. Everything that happened along the way either made me a better writer, or helped me develop personally. I also had time to learn more about the publishing world along the way. I wouldn’t change it. ‘When all is said and done, killing my mother came easily’. This is the highly shocking and emotive beginning to Alice Seabold’s ‘The Almost Moon’. I was never sure how I felt about the novel, but that opening line stayed with me. All-time favourite has to be Hannibal Lecter (from the books, film and TV series!) I think Hannibal’s complex character is pure brilliance and for me, he’s the most chilling character ever written. He is closely followed by Joe Carroll (played by the excellent James Purefoy) from the TV series, ‘The Following’. Charismatic, intelligent, completely creepy – all of which makes for compelling viewing! An unusual crime, lots of red herrings, pacey and suspenseful writing, great characters (I don’t have to like them, but I do need to be intrigued by them/their motives), an ending that leaves some things to the imagination. I think that’s going to be personal and specific to each individual writer. We all have our strengths and weaknesses. For example, one thing I need to develop is my description – I often leave out details in favour of faster pace, however for my reader to build up a picture and visualise the place and characters, this needs to be weaved in. I do have several ‘how to’ books on writing and there are plenty of writing courses to help develop your skills. Ultimately, I feel the more you write, the better you’ll become and if you take on board feedback and constructive criticism, then the process might be quicker! And finally do you have any projects or releases on the horizon which you would like to share with the readers of the website. I’ve written book three – it is due to go to my publisher very soon! This story follows Alice and Deborah – who are both mothers trying to find their way through a tragic event. Alice is the mother of a young man who is responsible for the death of Deborah’s son, who he came into contact with through an online gaming community. Connie Summers returns as the psychologist who is helping Alice manage her guilt – but Alice is convinced she can help Deborah through her grief, because in her mind they have both lost their sons. 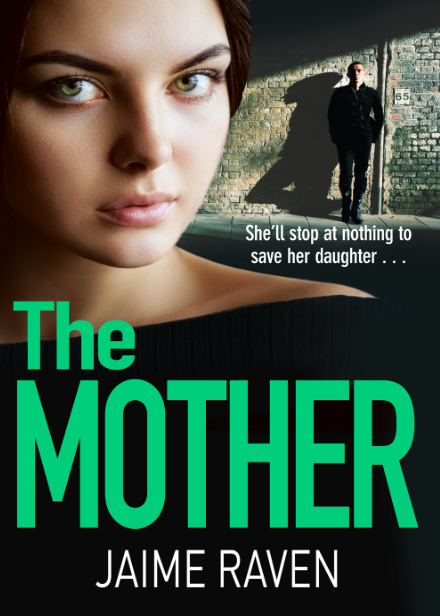 Jaime Raven, author of ‘The Mother’ shares her writers tips for aspiring authors. I always advise budding writers to read as many books as they can in their chosen genres. And while reading make notes. Study the different styles of writers, especially structure and descriptive prose. And they should keep telling themselves that they will eventually write much better books than any of those they’ve read.